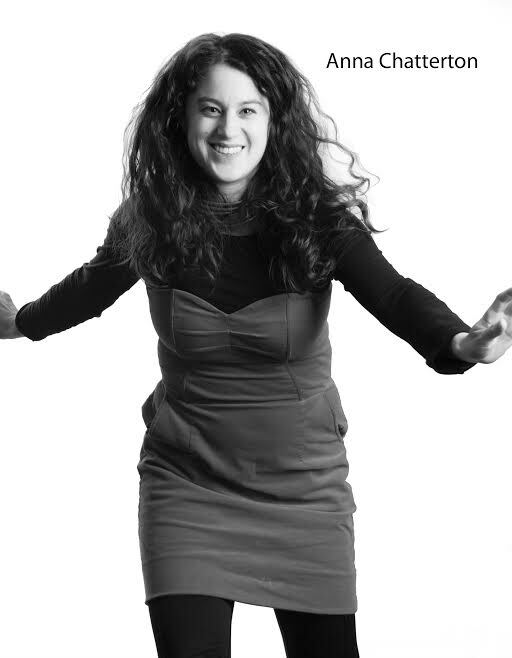 Anna Chatterton is a playwright, librettist and performer. Her play Within the Glass was recently produced at Tarragon Theatre where she is a playwright in residence. Anna performed her solo show Quiver at Theatre Aquarius (TA2 Studio series), which will also be produced by Nightwood Theatre in the fall. Anna co-writes and performs with the Independent Aunties (Gertrude and Alice, Buddies in Bad Times Theatre, Breakfast, Buddies in Bad Times Theatre and Theatre Centre, Frances, Mathilda and Tea, Theatre Passe Muraille, Clean Irene & Dirty Maxine, Buddies). As a librettist her work includes Swoon (Canadian Opera Company), Voice Box (World Stage/Harbourfront Centre(/Urbanvessel ), Crush (Canadian Opera Company/The Banff Centre for the Arts), See Saw (Tapestry Opera), and Stitch (Theatre Centre/Urbanvessel-Dora nomination for Best New Opera). Upcoming productions include performing and co-creating Yellow Wallpaper (TA2 Series Theatre Aquarius, The Registry, KW), acting in Sky Gilbert’s new play Princess, (Hammertheatre), opera Sweat (Centre for Contemporary Opera, NYC) and opera The Man Who Married Himself (Toronto Masque Theatre). Anna is the Playwright-in-Residence at Nightwood Theatre this season and has been a playwright in residence at the National Theatre School of Canada. Anna has her MFA in Creative Writing from the University of Guelph and BFA in Theatre Performance from Concordia University.